What our customers are saying about our Holiday Cottages In Ireby To Rent. "My husband and I stayed here 5-12 July 2017 and we had a great time. It's about a 15 min drive to Keswick but there are lots of other little villages close by such as Bassenthwaite and Braithwaite etc. 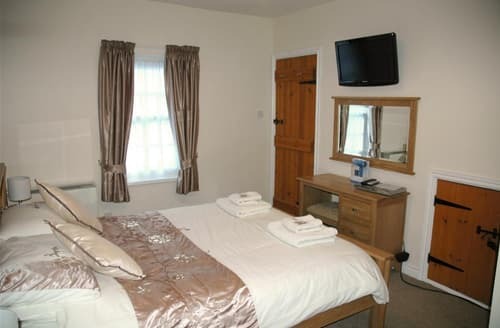 It has easy access to all the walks around the Keswick area and we did Skiddaw after parking in Bassenthwaite village and walking from there, you can also access Skiddaw from High End B&B - there's a lay-by close where you can park. We also did Catbells on our last day. Every walk is very scenic, and even if you just walk from the accommodation there are lovely villages to visit. Our accommodation was very comfortable and had all necessities provided The king size bed was extremely comfortable and the bedding was lovely Some small issues that we had were dealt with immediately by the management but one small improvement I would add would be a better selection of glasses in the kitchen (bigger wine glasses!!!). 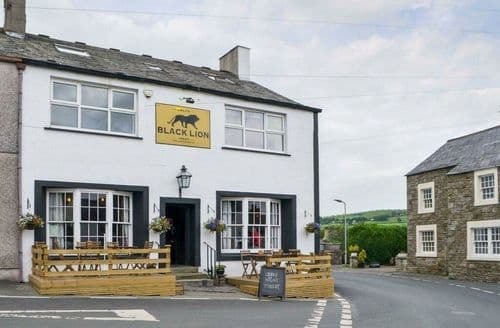 The pub below the accommodation (The Black Lion) serves excellent home made and locally produced food and I would personally recommend the lasagne The village of Ireby is lovely and the locals made myself and my husband feel very welcome. 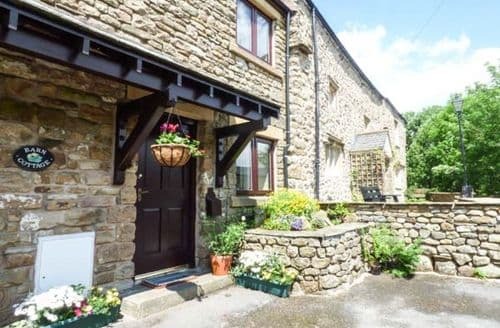 We will definitely pay a visit back here on our next trip to the Lake District"
"Beautiful cottage with all facilities ready for you - two bathrooms, dishwasher, tumble dryer, washing machine, wifi etc. But also the 'little' things such as cleaning stuff was there too so no need to go armed with washing up gear or washing powder. Spotlessly clean throughout. The garden is mostly enclosed but if you have young children or adventurous/older dogs it may not be as safe as you would want. Plenty of walks from the cottage and within fairly easy reach of the main Lake District villages and sights but situated in a very peaceful, quiet village that offers tranquillity a little off the beaten track. Pub next door and farm shop a short walk away but only 15 minutes to Cockermouth, which has some of the bigger shops and supermarkets plus a lovely selection of individual shops. For anyone with dogs or who love walking the choice is endless." "What an excellent cottage this is. It has everything you need and more. All of the rooms are cosy and spacious especially the lounge with its two cosy settees and a log/ coal burner for those relaxing evenings in. The kitchen has everything you need and the two bedrooms are very comfy and nicely decorated. We took our little dog with us and the added bonus whether you have a dog or not ,is the small local friendly pub 'Emily's Black Lion' next door that is dog friendly and serves delicious home cooked food in the evenings Wednesday to Sunday's. I personally recommend 'Emily's draught ale. 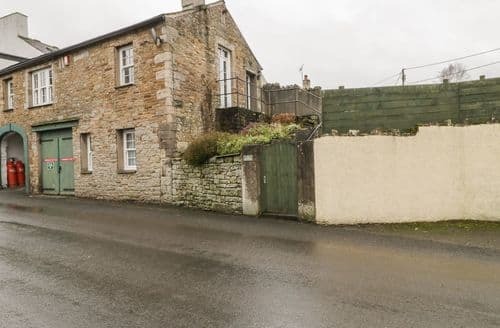 This is a great cottage,ideally situated in a friendly village. It would be difficult to find a better one.."
"Have just spent a week in S89797, and was a little nervous beforehand, as it is next to a pub. No worries, the pub is closed! 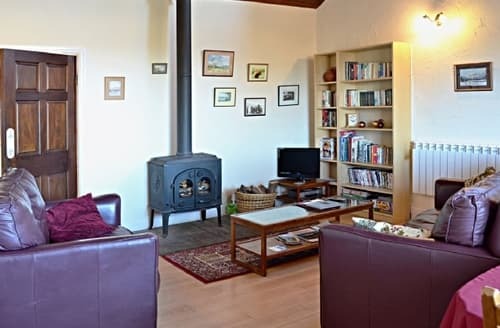 The cottage is kitted out with everything you could need, with a few extras on top.Tea, coffee, sugar, milk and cake on arrival. 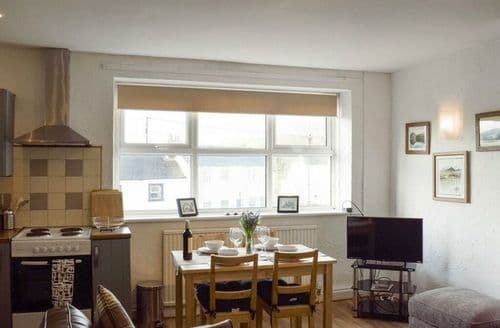 Tissues in the lounge and bedrooms, spare loo rolls, cling film, foil, liquid soap in both bathrooms, excellent quality furniture and fittings, and plenty of crockery and cutlery. I have stayed in many places that cater for 4, and you get 4 of everything, and only 4!, the cheapest quality furnishings as well. Not so here. The nearest shop is a 15 minute drive away, so it really is a peaceful location, but a good base for the Northern Lakes." "Excelent location in small but interesting hamlet - excelent walks from the cottage particularly to highest and most northerly point in Lancashire which is a pleasant walk from the cottage. We were extremely lucky with the weather so did not need to use some of the facilities - e.g. log burning stove. We were a party of five adults so the third bedroom with bunkbeds was a little small but this would not put us off returning. The bedrooms could be improved by having more bedside tables. The area has so much to offer and we were able to travel easily to the Yorkshire Dales, both Southern (Ambleside, Windermere) and Northern (Keswick) parts of the Lake District."